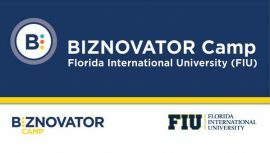 The BIZNOVATOR Empowerment Seminars are a series of theme-based topics that teach, challenge and empower youth, parents, educators and corporate employees to maximize growth potential – – either for themselves, their children or their students. 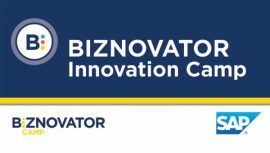 BIZNOVATOR offers 12 topics that focus on engaging participants while introducing core concepts for success. Each 30 to 90-minute seminar can be delivered at different venues, including; schools, corporations, universities, faith-based facilities, and community centers. All presentations include customized PowerPoint slide presentations, challenging games, team dynamics, thought-provoking activities, brainstorming, and challenges. Our Youth empowerment and development Seminars are specifically designed to “open the door” for you as a franchisee to deliver immediate value to young people in your community. These seminars are a stepping stone to broader engagements. This seminar focuses on what it takes to succeed in life and in business by thinking bigger. We all know how challenging it is to succeed. Today, more than ever, we are facing daily changes, fast-paced growth, and downturns in our global economies. As professionals, educators, and parents we need to teach and prepare our youth on how to plan ahead, and to do so, they must learn how to set big goals. This seminar teaches youth 10 key actions they must take to begin the process of thinking big to get big results in their lives. The Think Big…Think Bigger 60 to 90-minute seminar, can be customized for youth in 6th grade to college audiences. The targeted size of the audience could be from 25 to 100. This unique seminar includes a series of activities that get participants out of their seats. From the “Tower of Power,” to “N.A.I.L.S.,” to the “Observation” game young people will learn how to work in teams. In the Leadership for Gen Z, students will learn some myths and stats that pertain to Gen Z. The main focus of this seminar is to get the fastest growing generation to learn important skills that will set them apart. That being leadership principals that they’ll need in their careers and in business. 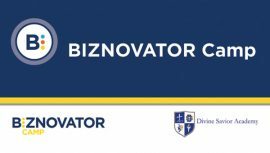 They’ll learn 5 core leadership principals that BIZNOVATOR has observed and helped nurture in the thousands of successful students we have worked with. The Leadership for Gen Z seminar can be customized for youth ages 12 to 21, and for audience size from 25 to 300 and delivered in a 60 to the 90-minute format. Team By Design is a group dynamics driven seminar that challenges youth or adults to learn design thinking and how they can apply it in everyday life. The main focus in this seminar is to present a situation to the participants; break-up into small groups, and then through a series communication, analytical thinking and processes, each group will draw their own conclusion as to which solutions they can come up with to solve a problem. Team By Design allows students to learn team planning, discussions, analysis, assessments, time management, public speaking and core leadership skills. The Team By Design 90 minute seminar, can be customized for teenagers and adults, and for an audience size from 25 to 100.